Over a decade from 2005 to 2015 annually in October, The Schanskraal Private Estate & Welbech Arabian Stud hosted the Schanskraal F.E.I. *** Endurance Ride. It became a foremost annual international event in the endurance calendar where new records were set and was well attended by riders not only from across South Africa (including Cape Town and Johannesburg) but neighbouring countries such as Namibia and as far afield as New Zealand. The Ride itself took place on the Schanskraal Estate and under the F.E.I. 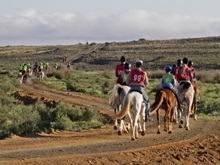 and E.R.A.S.A regulations offered 80km, 120km and 160km events over a horse-friendly course. The terrain and supporting facilities were highly praised by officials, organisers and participants and were of a high standard, boasting extensive grass areas for camping, spacious ablution block, marquee tents and new horse paddocks. 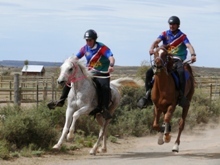 In 2012 The Schanskraal Estate was very proud to announce that they were chosen to host the South African 160km Championships at Schanskraal during the FEI Ride on 27th October 2012.